Bet on round 8 of the English top flight with Bet365's Premier League odds! Sam Allardyce was sacked after only 67 days as England manager, which Scott McGarvey deems is an overreaction by the FA – bet with Bet365’s Premier League odds! Scott McGarvey – the football agent that was involved in setting up the meeting between Allardyce and the Daily Telegraph reporters – has expressed his remorse for involving ‘Big Sam’ in the undercover sting affair. Bet on round 8 matches with the best Premier League odds! “Do I think he holds me responsible? I think he’s known me for a long, long time. He knows that I’d never do that to him or anybody in football.” Read the full transcript of McGarvey’s interview. Sam Allardyce managed England for only one game, but left the job as the only Three Lions boss that has achieved a 100% winning record – that’s due to his only match ending with a 1-0 victory against Slovakia on September 4. Since then, U21 boss Gareth Southgate has taken over duties of the senior side, but it’s yet unclear whether he will be appointed full-time manager or whether the FA will opt to go with a more experienced man for the most coveted job in English football. Bet365 offers some of the highest Premier League odds! The £1 million doesn’t really make that much of a difference for a man that has spent nearly his entire life at the highest level of football, first as a player for two decades and subsequently as a manager since hanging up his boots as a player in 1993. With this in mind, he’ll be back to managing a Premier League shortly, unless he decides to shy away from the British media and take up a boardroom position at some Spanish club – close to his holiday home in Costa Blanca (Spain’s Alicante province). 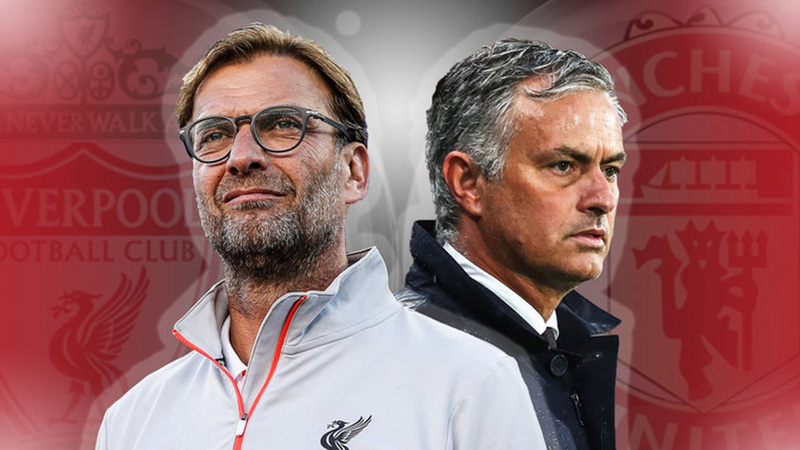 Round 8 of the Premier League will see Jurgen Klopp clash with Jose Mourinho at Anfield. Following a two-week international break, the top flight of English football will be back this weekend with a number of cracking matches on the agenda. Chelsea will host defending champions Leicester City at Stamford Bridge in the opening game of round 8, while Arsenal will take on Swansea at the Emirates. Everton are gearing up for their most difficult match of the season this weekend as they visit the Etihad, which will see former Barcelona teammates Ronald Koeman and Pep Guardiola go head to head as opposing managers on the pitch. Under Mauricio Pochettino this season, the Spurs are looking fearsome which has brought them into second position on the table and essentially made them into title challengers 8.00 (7/1) – it would be their first since 1961. Their next match will see them play West Brom, which should be a routine win. The biggest match of round 8 will actually come after the weekend, and it will see one of the biggest rivalries in English football unfold at Anfield – Liverpool will lock horns with Man United on Monday (October 17) as they aim to build on their great performances this season. Man City are still atop the table with 18 points, despite having seen their perfect winning streak discontinued by Tottenham – who are second on the table with 17 points – right before the World Cup qualifiers. Arsenal and Liverpool are tied on points (16 pts), but the former is in third spot with a better goal difference. Everton are in fifth (14 pts), while Man United and Chelsea are in sixth and seventh positions respectively, each with 13 points. Bet with Bet365’s Premier League odds!